Bert Kelly’s Stables, 431 N. Rush St., was a famous jazz club and speakeasy. 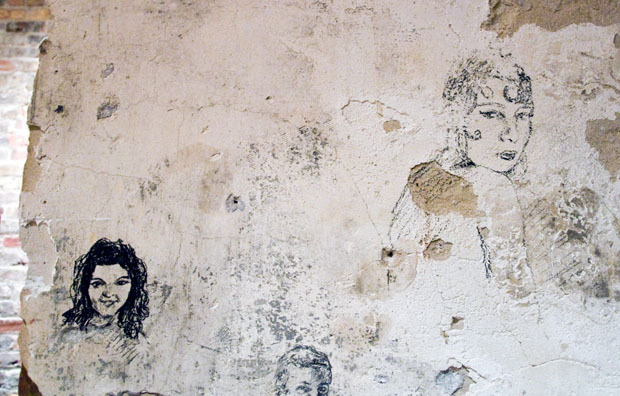 Top: Drawings on the wall at Gioco, an Italian restaurant in Chicago's west loop. Bottom: The back room at Gioco. The space hosted a speakeasy during prohibition, using its thick safe doors to shield the windowless back room from foot traffic on Wabash Avenue. The building was a cold storage facility during that time, so it was easy to keep the beer cool. 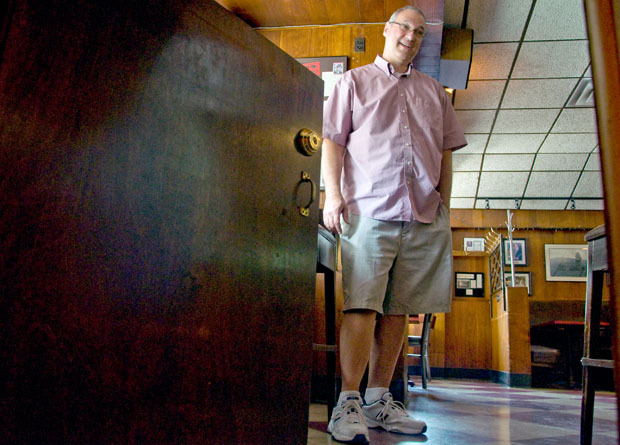 Paul Tuzi, one of the owners of Lincoln Park's Twin Anchors Restaurant & Tavern, shows off a half-size door at the back of the bar, which he says was installed during prohibition to enable quick escapes. Ask people around the world to play word association with “Chicago,” and you’ll hear a few common responses. Modern architecture and bruising politics have nothing, it seems, on our Prohibition-era gangster reputation. To that end, Garibay says the bar owners around town with any connections to that era are happy to play it up. It’s good for business. Even modern bars are reappropriating that speakeasy vibe. Take The Violet Hour, a favorite spot of the recent University of Chicago alumna who asked our question. What sorts of buildings housed speakeasy bars in Chicago during the Prohibition era? What made these buildings particularly well suited for speakeasies? It’s hard to determine Chicago’s ideal speakeasy building, since speakeasies came in almost as many varieties as there were speakeasies. (How many is that? It’s hard to confirm an exact number, but probably thousands — more than there are bars in the city today.) Illegal gatherings to drink in the back of a warehouse, a candy store or a backyard were all technically speakeasies. Still, a few common elements made it easy to get away with skirting this very unpopular law. Here are a few things that most — if not all — Chicago speakeasies needed. Speakeasies were common, but they still had to operate in the shadows, in the legal and sometimes literal sense. “It was probably in a place where you could make a little noise and get away with it,” says Craig Alton, who leads Chicago’s "Untouchables" gangster tour. 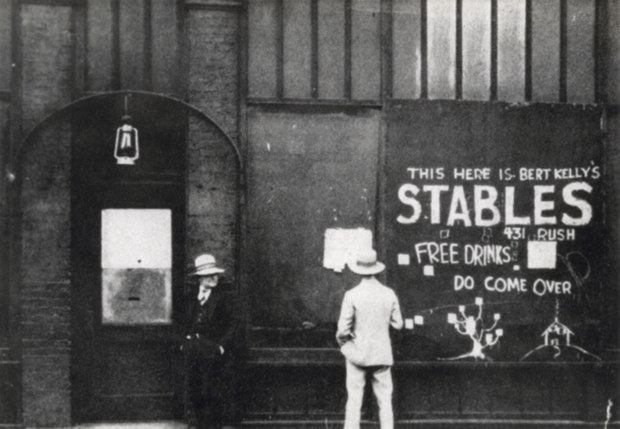 Some places boarded up their windows, or moved their saloons to back alleys. Gioco, an Italian restaurant in the South Loop, still has the back room where illegal booze was served to guests including Al Capone. The building, 1312 S. Wabash Ave., was a cold storage facility at the time. According to Alton, this made it easy to keep the beer cool. Thick vault doors prevented sound from escaping and tipping off authorities. While you didn’t want law enforcement to find its way to your speakeasy, you needed it to be accessible for patrons and the back-of-house help that would load in your illegal alcohol. Subterranean networks helped — sewers or access lanes under the street — and in older parts of Chicago these were common. The Green Mill benefitted from tunnels connecting the bar to neighboring establishments of their Uptown block. Likewise in Pilsen (a neighborhood partially spared by the Great Chicago Fire), speakeasies used basement connections to a subterranean network of access tunnels hidden beneath the city’s original street grid. According to Craig Alton, one former funeral home on the 700 block of West 18th Street hosted wakes, parties and other get-togethers downstairs after their services, serving alcohol they ran through the underground tunnels. We couldn’t verify that particular story, but it’s true that in older neighborhoods like Pilsen, Chicago at one point raised sidewalks off the city’s swampy foundations to make space for sewers and other infrastructure that could have been useful for illicit transport. Running a successful speakeasy was impossible without connections. Bar owners relied on a network of people to transport alcohol, pay off cops and bounce unruly patrons, among other things. That often involved the mob, but it didn’t have to. As long as you were somewhat discreet and had a person who brought in regular shipments of alcohol, you could run a speakeasy. Twin Anchors was so named because the owner during Prohibition, Captain Herb Eldean, was a harbor master at Chicago’s Monroe Harbor. “He had more access than most people would have to the possibility of acquiring liquor coming down from Canada into the port here,” says co-owner Paul Tuzi. Some tavern owners didn’t have to look across the border for a reliable source of alcohol. Schaller’s Pump in Bridgeport is considered by many to be the oldest bar in Chicago still serving drinks. Now it’s flanked by parking lots and gravel, but during the early 20th century its neighbor was the South Side Brewing Company. Prohibition forced the brewery to boost production of low-alcohol “near beer,” but barrels of its more potent products found their way into Schaller’s Pump. (Check out our mixologist&apos;s guide to a Chicago speakeasy). While secrecy and good connections were probably the most critical parts of any successful Chicago speakeasy, some bar owners added their own innovations. Simon’s in Andersonville has a bank teller’s window tucked under the stairs. “In that day if you took your check to the hardware store or the butcher shop or the shoemaker,” says owner Scott Martin, those people would cash your check for you, but would take a percentage of your check for the risk of cashing it, much like a currency exchange does today.” So Swedish immigrant and World War I veteran Simon Lundberg installed a bullet-proof bank teller’s window (in what today is storage space), offering to cash checks free of charge. He also advertised free sandwiches on Fridays. “So you would get a free belly full of food and get all of your hard-earned money, which you’d oblige by gettin’ a beer and a whisky.” Of course, it rarely stopped at just one drink. That entrepreneurial spirit seems to fit with Simon’s history. The bar began when Lundberg noticed the patrons of his cafe spiking their drinks with whisky, so once he’d made enough money from legitimate business, the Swedish immigrant bought the building next door and turned its basement into the NN Club — the “No Name” Club or maybe the “No Norwegians” Club, jokes current owner Scott Martin. A spare and cramped basement now used to store liquor for Simon’s bar, the N.N. Club still has its original hand-painted sign. Decorative Swedish wall painting known as rosemaling peeks out from behind racks of liquor bottles. After prohibition, Lundberg brought his drinking club upstairs. Simon’s Tavern still has its original 1933 mahogany bar, and the bank teller door lined with 12-gauge steel and three panes of bullet-proof glass. Now people cash their checks elsewhere, of course, but they still oblige themselves a beer and whisky. Or several. “My mother and her sisters used to have come every other Friday night to get my grandfather out of here,” says Martin. A faithful clientele creates a powerful profit motive — one worth skirting the law and going through all that trouble for. So to answer Elena Hadjimichael’s question about what buildings housed speakeasies, and what made them well-suited to be speakeasies, let’s recap: Speakeasies need secrecy or privacy; they often used a cover or front to keep up appearances; and they needed access to shipments of alcohol. It’s not the building itself that made a successful speakeasy, so much as its management and business savvy. And that much about running a bar hasn’t changed — even if modern speakeasies, like the ones that inspired Elena’s question, don’t have to worry about hiding the booze. We’ve got an answer. Who asked the question? Our question about speakeasies comes from someone who has only been able to legally drink for two years. Elena Hadjimichael graduated in early June from the University of Chicago, where she majored in international studies. Now she’s off to New York University, where she’ll study law. But before she skipped town, Elena wanted to learn about the history of Chicago’s prohibition-era watering holes. “One of my favorite bars in Chicago is The Violet Hour, which is kind of in the speakeasy style,” she says. 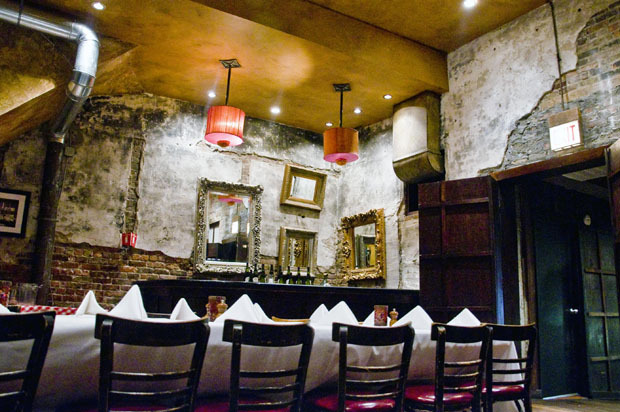 “So I was interested in what more original speakeasies might have been like in Chicago.” Another “modern speakeasy” that comes to mind, she says, is Angel’s Share in New York’s East Village. It’s an exclusive whisky bar cached behind a Japanese restaurant. 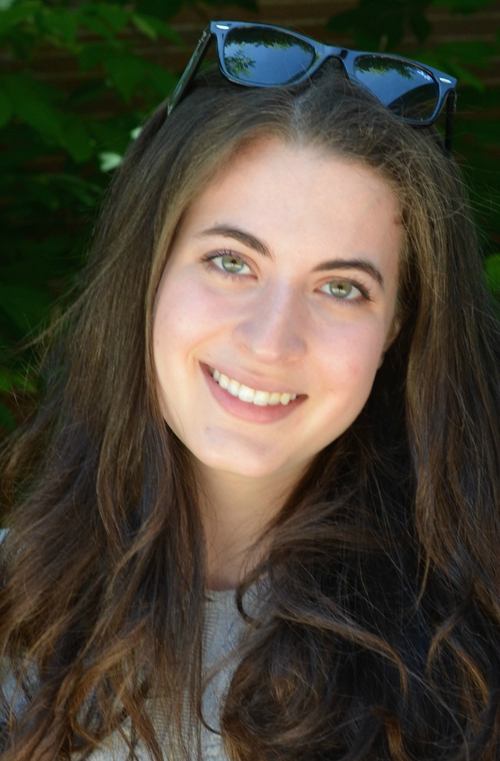 Elena grew up in Reston, Virginia, near Washington, D.C. She spent three years in Paris before coming to Chicago. She also happens to be a member of the University of Chicago team that tackled a Curious City question about Chicago’s wholesale produce markets. Chris Bentley is a reporter for WBEZ’s Curious City and a freelance journalist. Follow him at cabentley.com and on Twitter at @Cementley.